JFK, stealth bombers and Silicon Valley are coming to the next Civilization game. Oh and lasers, too. It's about to get all modern up in here. 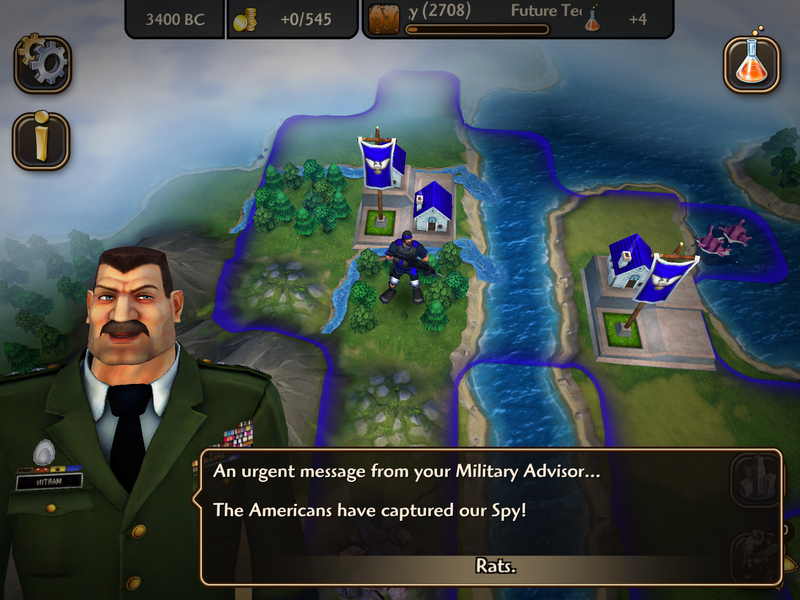 In the video above, I take in a near-final build of Civilization Revolution 2, the sequel to the built-for-consoles spin-off of Sid Meier's popular strategy series. You'll see some of the new, faster gameplay above, along with some new units and leaders as well. Civ Rev 2 brings elements of the present day into the franchise, with the Red Cross, modern medicine and information technology available to use in your quest to conquer the world. It won't have multiplayer, though, so you'll be butting heads against AI opponents. Civ Rev 2 launches on the Apple App Store this Wednesday for iOS devices.